Florida State defeated South Florida on Saturday, 55-35. 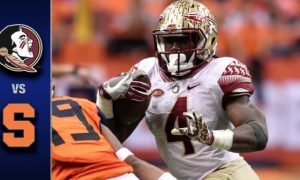 The Seminoles had a big day on the ground with junior running back Dalvin Cook leading the way. 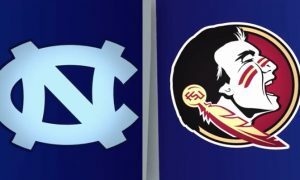 Cook finished with 267 yards and two touchdowns on 28 carries, while quarterback Deondre Francois ran for 75 yards and a touchdown on 10 carries. Backup running back Jacques Patrick ran for 124 yards and a touchdown on 20 carries. South Florida saw a big day from their quarterback Quinton Flowers, who finished with 160 yards passing, a touchdown and two interceptions on 5-of-14 passing. He also ran for `59 yards on 18 carries.